Potter Truck Covers has been supplying Blue Springs with truck bed covers and truck caps since 1975. We offer fiberglass and aluminum truck caps that are cab high, mid-rise and high-rise. We also offer truck bed covers in a variety of categories including roll-up, folding, retractable and hinged. Choose the perfect cover for your truck that suits your truck and your personal needs. Truck caps offer a sleek look with practical features. Our cab high cover is perfect for anyone looking for a high-quality top that adds a custom fit and finished look to your truck. Our mid-rise and high-rise truck caps are perfect for truck owners who need extra vertical cargo space. If you are not sure which cover is right for you, speak with a member of our staff about your unique needs. We provide only the best products in order to keep our customers completely satisfied. Call us today to get the perfect truck cover for you! 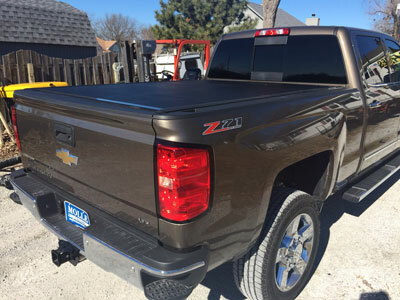 Tonneau covers are truck bed covers that add security and style to your pickup. They protect your cargo from weather and theft while enhancing the appearance of your truck. By adding a truck bed cover you add a versatile way to utilize your truck for whatever activity you are doing. Each tonneau cover is easy to operate and built to last for years. 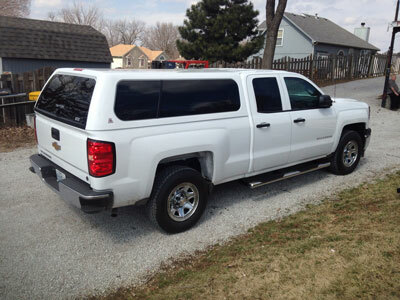 Potter Truck Covers has a variety of tonneau covers to satisfy every customer. Stop in or call to view our selection!